Salary negotiations can be the most intense, anxiety-riddled part of landing a new job. But if you’re only thinking about your next paycheck when making a counter offer for a new job, you’re doing your wallet a huge disservice. Want to make radically more in the future than you do today? Start by kicking these salary mistakes to the curb. MYTH 1: YOU SHOULD KEEP YOUR PAYCHECK PRIVATE. Religion, politics and money used to be the trifecta of taboo topics—but not so for younger generations. “People were raised not to talk about money, but there’s been a huge generational shift around salary disclosure,” says Cara Silletto, founder of HR firm Crescendo Strategies. The explosion of social media and crowdsourced salary sites like Indeed.com and Glassdoor.com plays a part, but even IRL talks about money are more common now than they were 10 years ago, she says. “Young women in particular have embraced this evolution of transparency as a way to empower themselves and advocate for fair pay.” Knowing your pal two desks over brings home 25 percent more bacon might light your fire to ask for a raise or job hop for more opportunities. Get gabbing. MYTH 2: YOU SHOULD LOWBALL YOUR SALARY EXPECTATIONS TO GET IN THE DOOR. We’ve all been there: A job application asks for your desired salary, and you hesitate, wondering if writing down your lowest acceptable salary might give you a better shot at being considered. “Definitely do not put down the lower number,” says Ryan Kahn, founder of The Hired Group and author of How to Get Hired. Sure, looking like you’re super cheap might indeed get you interviewed, but many companies will then base their offer on that lowball figure. In other words, prepare to get paid less than you’re worth. “Instead, give a range of what you’re truly comfortable with,” he says. MYTH 3: EVERY JOB MOVE HAS TO BRING A 10 PERCENT PAY BUMP. Sometimes, maximizing your long-term earning potential can mean taking a step back to make a giant leap forward. Switching fields, for instance, usually entails starting in a junior position that might pay just a fraction of what you’re earning now. But if senior positions in your new career pay dramatically more than what your current industry will ever pay, enduring a pay cut can be well worth it. MYTH 4: COMPENSATION AND SALARY ARE SYNONYMS. Yes, the dollars and cents that show up on your paycheck each month are important. “But salary is not the end-all, be-all of a job offer,” says Kahn. Are there stock options or equity on the table? Will the company pay for your professional development courses or give you a crazy high match for retirement savings? 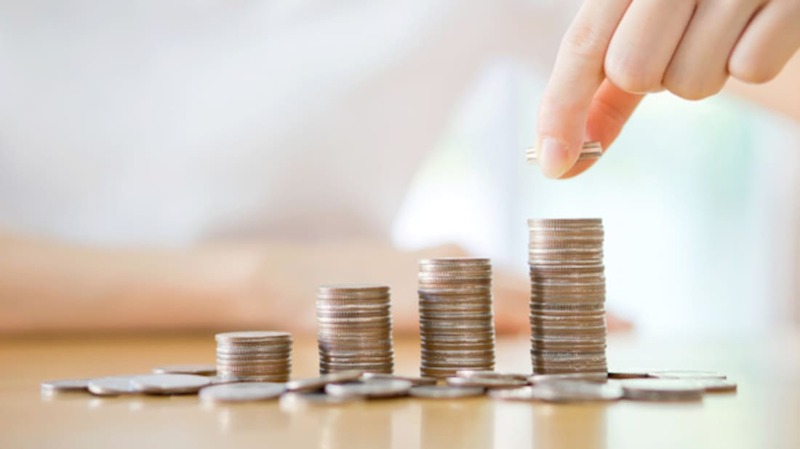 If you’re too fixated on negotiating the salary number, you might overlook some serious perks (or pitfalls) in terms of building your overall wealth. MYTH 5: YOU SHOULD PASS UP OPENINGS THAT "DON'T PAY ENOUGH." Maybe a recruiter reaches out on LinkedIn or you apply to a job posting, then only once you’re nailing down the interview time do you learn the salary range is lower than you’d like. Don’t bail, says Kahn. “A lot of people have the immediate reaction of turning down the interview, but it’s always possible that you’ll win them over and they’ll consider you beyond the role they’re hiring for,” he says.